Pollnalaght is a 293m high hill in west Tyrone, just off the Omagh/Drumquin road. 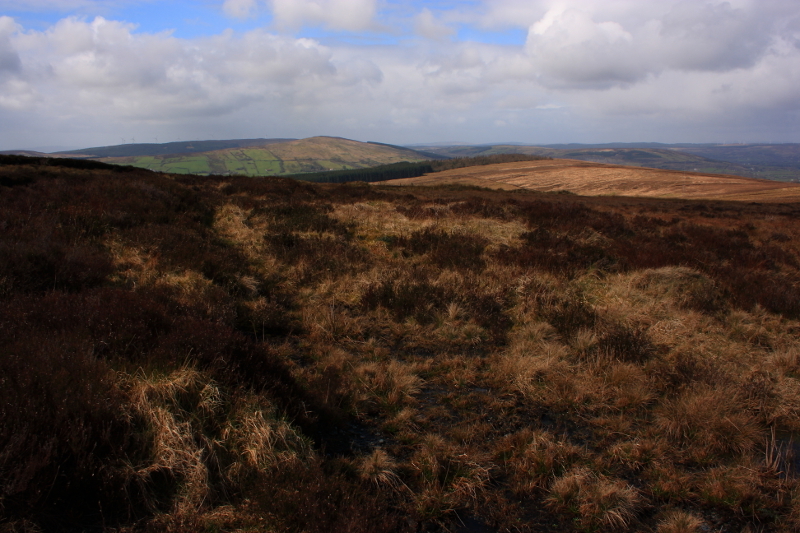 A minor road leads over the top of the hill, and takes you quite close to the summit, with a lay bay and picnic area at a viewing point near the highest point of the road, known as Pigeon Top. 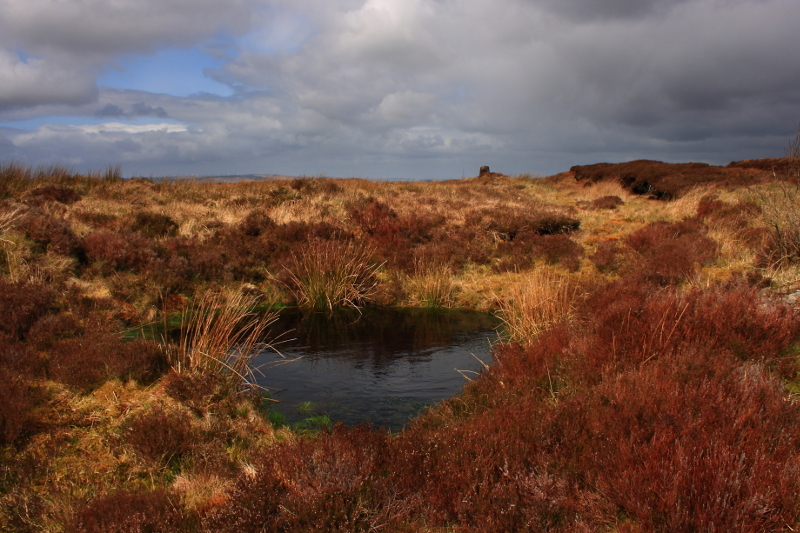 However the actual summit is a little to the west of the road in the bog. I had driven up to the viewing point a few times in the past, and will probably do a post at some point, with photos from those trips. However, I had never left the road before and sought out the actual summit, until now. This trip to stand at the summit is down to a more recent enthusiasm for hill walking, and the associated urge to attain the peak. 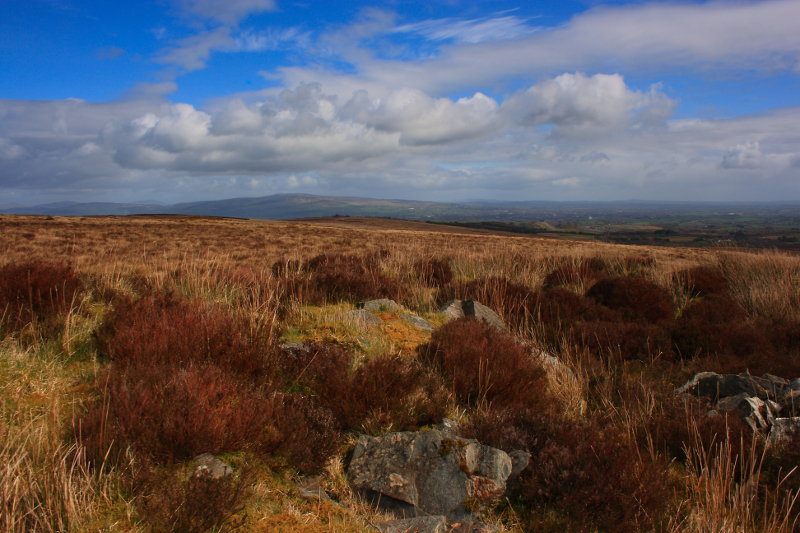 I use the excellent Mountainviews.ie website to log the summits I have reached, and it nicely compliments my interest in walking and photography. 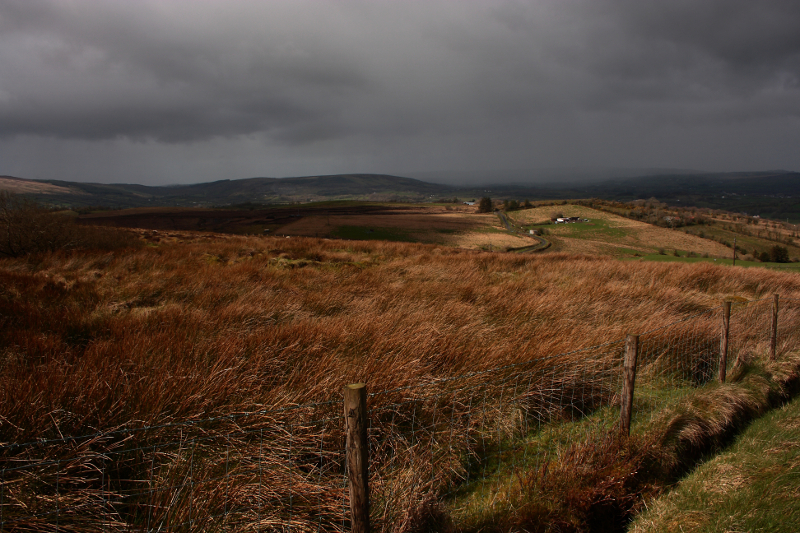 I set off for Pollnaglaght on a day of mixed weather – sunshine alternating with thundery downpours. As I drove up the minor road, the thunderstorms were dominating, and I sat in the car at the parking spot for 15 minutes, waiting for a particularly heavy shower to pass. 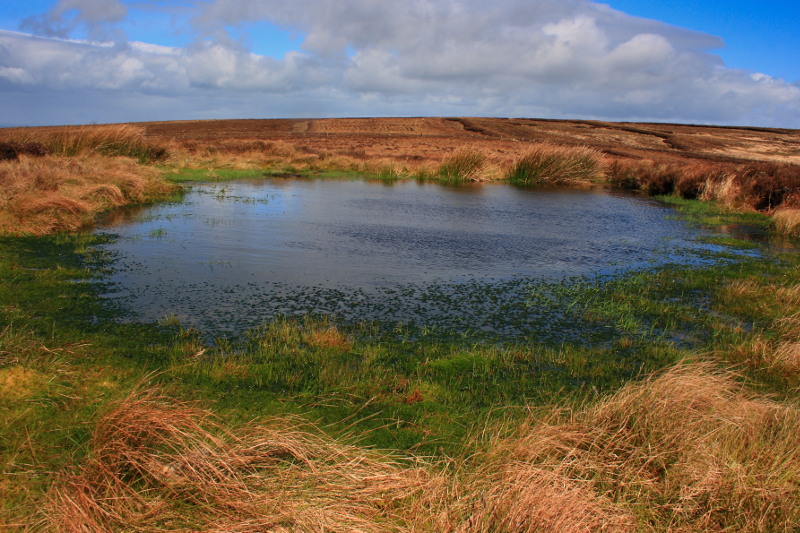 On the drive up, and while waiting in the car, it did not look promising, and the bog did not look like an inviting place for a walk. 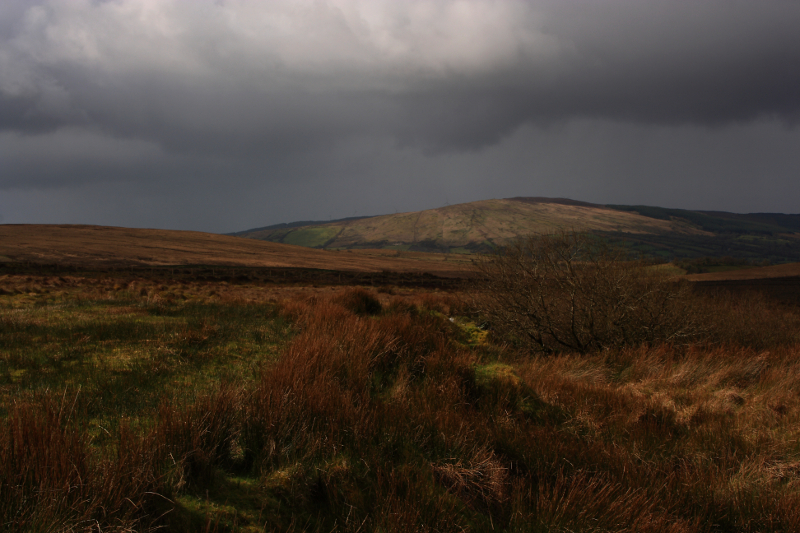 The shower soon passed however, and it brightened up, so I set off west across the bog. 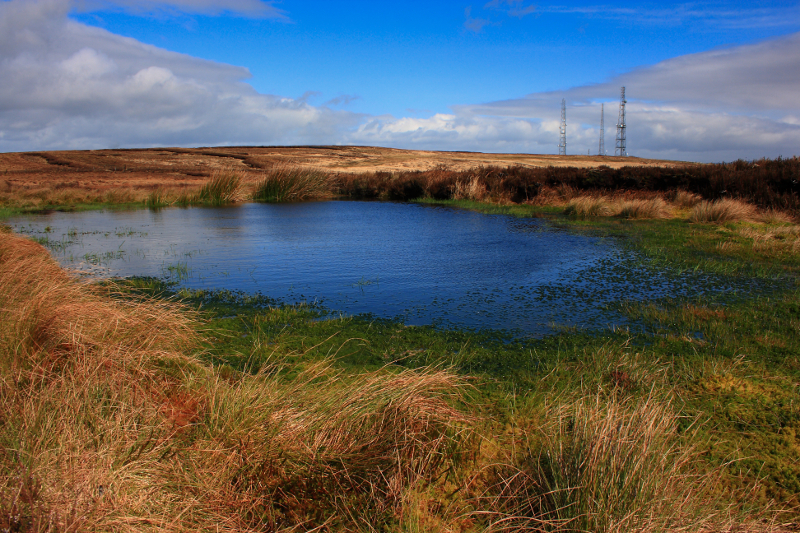 In the sunshine, the earlier bleak looking bog came alive with colour, this pool catching my eye. The Mountainviews.ie website provides great guides to almost every hill and mountain in Ireland, with information on routes, summit location, height and many other points. For this hill, there is an unusual uncertainty mentioned about which of two possible points is the real highest point, so I decided to visit both to ensure I had reached the right one. The first is only a few hundred metres west of the parking spot, and is unmarked but fairly easy to identify. The photo below was taken in the vicinity of this spot. From here, the second and perhaps more likely candidate for the summit was clearly visible, less than a kilometer away, to the Southwest. It certainly looked higher from here, and its claim is strengthened by being marked by a trig pillar. The conditions underfoot were surprisingly firm, and it took little time to reach it, although a bit more to find the trig pillar, hidden behind a peat bank. 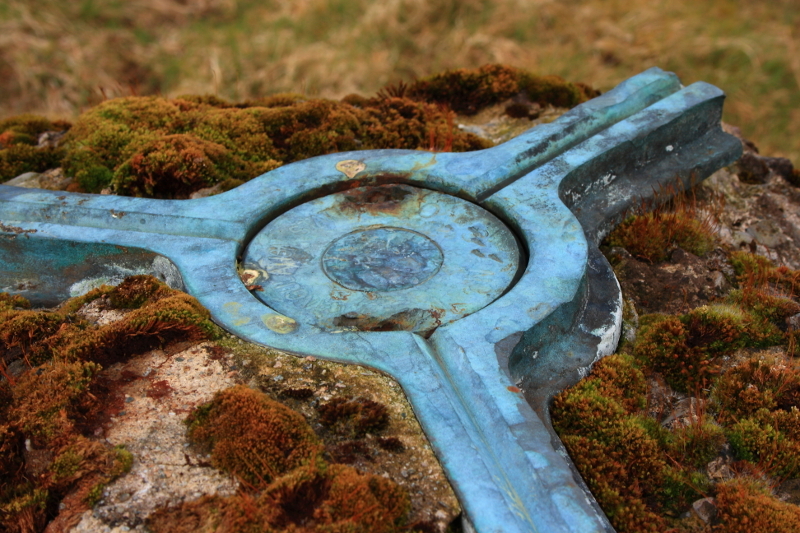 The top of the trig pillar. It must be an optical illusion, but now the first point I had visited seemed to look higher! I’m fairly certain however, that this was the genuine high point. 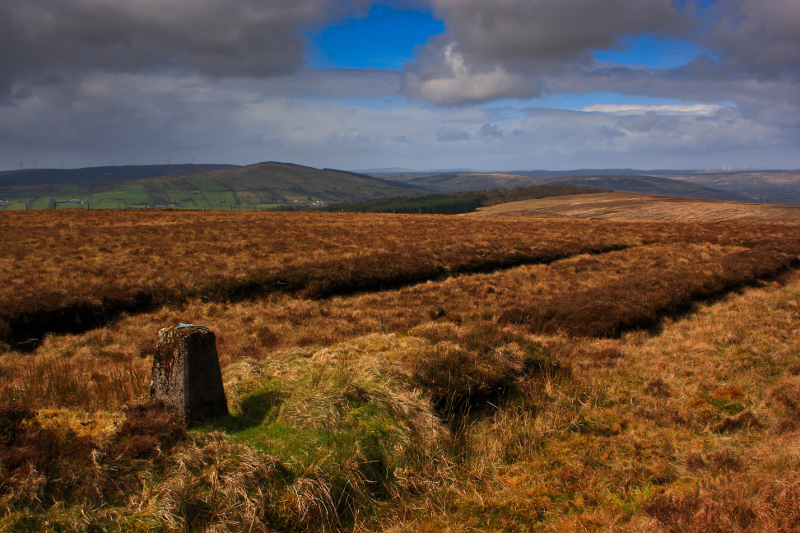 I had a bit of a wander round this area, taking in the views over west and south Tyrone. It was a short walk back to the car, and amazingly the sunshine lasted just long enough for me to reach its sanctuary before the heavens opened again in earnest. If you bring good footwear, its well worth the little effort required to leave the viewing point and reach the top of this hill. 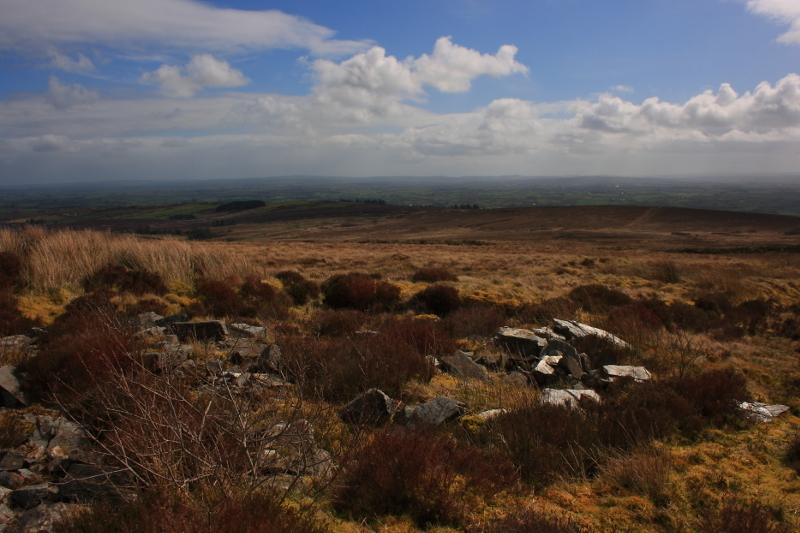 Posted in Landscape, Nature, PhotographyTagged Co, County, Drumquin, hill walking, Ireland, Pigeon Top, Pollnalaght, TyroneBookmark the permalink.